Albert Pye recently took part in the Quad kicks athletics competition. This year’s event took place on the track at the UEA. 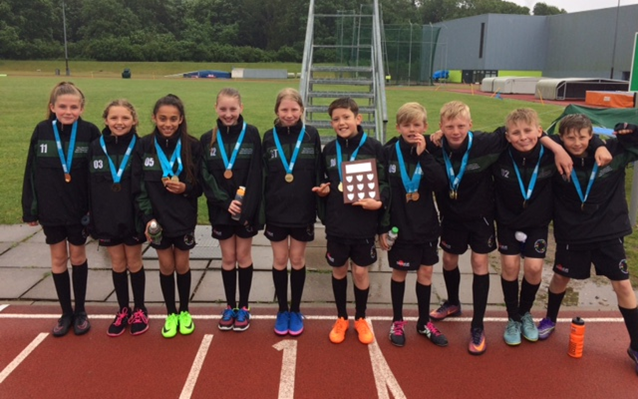 For many of the pupils this was the first time they had run on an athletics track which made the event really special for them. A team of 5 boys and 5 girls competed over 4 events. It was a brilliant competition with all the pupils putting in amazing performances, finishing in the top 3 in many events. Albert Pye finished 1st overall and will now represent the Lowestoft sports partnership at the county finals in July. Special mention must go to Conner, Aaron and Mia who were overall winners in the 75 metres sprint, boy’s long jump and girl’s long jump.